What a smart dog! Apollo can do all kinds of magical tricks! He even knows words! When you read about him, you can learn them, too! Apollo is just one of the literature guides for award-winning books in our Kids Wings collection of 41 literature guides now on CD and as a download. 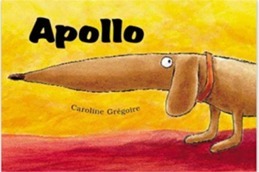 A Unit for Apollo is a part of a collection of 40 units in Book Bridges.